Jim Bildner is an adjunct lecturer in public policy at Harvard Kennedy School of Government and a Senior Research Fellow at the Hauser Institute for Civil Society. He co-teaches “New Frontiers in Philanthropy, Social Enterprise, and Impact Investing: Extending the Capacity of Foundations and NGO’s to Solve Complex Societal Issues” for students at Harvard College and the Kennedy School. 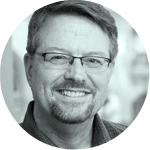 Jim has extensive experience in the private and non-profit sectors where he focuses on the institutional role of philanthropy in solving social issues. Among his board affiliations including serving as a trustee of the Kresge Foundation, Nonprofit Finance Fund, Case Western Reserve University, Public Citizen Foundation, Health Foundation for the Americas, Women’s Funding Network, New Jersey Performing Arts Center, Newport Festivals Foundation, Lizard Island Research Foundation in Australia, and as a corporate trustee of The Trustees of Reservations. He’s an overseer of the Boston Symphony Orchestra and WGBH Public TV and Radio. He’s a member of the Executive Board of WBUR (Boston Public Radio), the Board and Executive Committee of the Chief Executives Organization, as well as on the boards of Fox Islands Wind, LLC; EBSF Loan Fund; Island Institute and Coastal Innovation Loan Fund; and Democracy Works Inc. Jim frequently serves on investment committees of boards with aggregate endowments in excess of $5 billion and is a member of ten finance, investment, or audit committees. In 2010, he was named Chair of Kresge’s Innovative Capital Committee. Jim served as a legislative aide and speechwriter in the US Senate, two terms as a selectman in Manchester-by-the-Sea, and retained an appointment by the US Secretary of Health and Human Services to the advisory panel on Medicare Education of the Centers for Medicare and Medicaid Services of the Department of Health and Human Services. He earned his AB from Dartmouth College, his MPA from Harvard Kennedy School of Government, and his JD from Case Western Reserve School of Law. Jim is a member of the Bar of the Commonwealth of Massachusetts. 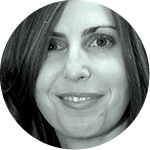 A native of New York City, Aviva Argote brings to the position a decade of experience leading and mentoring nonprofit organizations. Most recently she served as Executive Director of the Hauser Institute for Civil Society, and before that as Manager of Special Projects in the Office of the President and Provost at Harvard University. Previously she was awarded a Harvard University Presidential Management Fellowship, serving as Special Projects Analyst in the Office of Budgets, Financial Planning, and Institutional Research. Aviva’s prior experience includes work with the Rand Corporation, Los Angeles County Supervisor Gloria Molina, Community for Education Foundation, and Coro New York Leadership Center where she served as Senior Program Director and Director of the Coro Fellows Program in Public Affairs. Aviva holds a BA from Pomona College and an MPA from Harvard Kennedy School of Government. 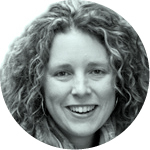 Claire Rice is the Deputy Director of Harvard University’s Sustain Arts project. Previously, she served as Interim Director of Education and Community Engagement at UMS, a 135 year-old performing arts presenter bringing internationally renowned artists in dance, music, and theater to Ann Arbor, Michigan. There, Claire worked to build context around and connection to the arts for a wide variety of audiences, where over 100 educational and community events are held each year. From 1998-2003, she was a management consultant for Accenture, working with federal and state clients in Washington, DC. She transitioned to the arts through six months as a full-time volunteer. Claire has managed a Grammy Award-winning concert recording, a month-long residency with the Royal Shakespeare Company, and was selected as an author for the arts leadership book 20 Under 40, published in 2010. She holds a BA from The College of William and Mary and an MPA from Harvard Kennedy School of Government. 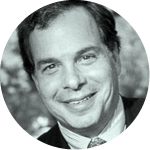 Marc Vogl is a San Francisco-based non-profit consultant and philanthropic advisor. He has served as Executive Director of the Bay Area Video Coalition (BAVC), Founding Executive Director of Killing My Lobster, and as an arts program officer at the William and Flora Hewlett Foundation. Marc also served on Barack Obama’s National Arts Policy Committee and the San Francisco Arts Task Force. He holds a BA in English and American History from Brown University and MPA from Harvard Kennedy School of Government. Eleanor Cleverly most recently served as a director in the interactive division of global media agency MEC, a WPP company. There she oversaw social media strategy for international clients such as Citibank, Colgate, and IKEA. Prior to her work in advertising, Eleanor was Assistant Director of the Harmony Institute. 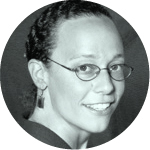 There, she conducted research for partners such as Free Press, the Ford Foundation, and MTV. In 2009, she co-authored Net Neutrality For The Win: How Entertainment and the Science of Influence Can Save Your Internet. She’s the 2013-14 Arts and Culture Fellow at the Center for a New American Dream, holds a BS in Anthropology from Utah Valley University, an MA in Media Studies from the New School University, and is a graduate student in Information Technology at Harvard University. 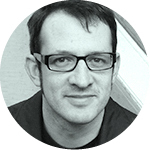 David E. Bruin is a dramaturg and a Managing Editor of Theater magazine. Select dramaturgy credits include The Caucasian Chalk Circle (Yale Rep, upcoming), Bird Fire Fly (Yale School of Drama), and Handbook for an American Revolutionary (Gym at Judson). Recently, he conceived and directed The Crazy Shepherds of Rebellion (Yale Cabaret). Previously, he served as Co-Founding Producing Artistic Director of Snapdragon, a theater company devoted to new work, and as Campaign Associate at New York’s Signature Theatre. There he worked on the capital campaign to build The Pershing Square Signature Center. David holds a BA in Philosophy and Theater Arts from Boston College and is currently an MFA candidate in Dramaturgy and Dramatic Criticism at the Yale School of Drama. Michael Sanders previously worked as a publicist in the Office of the Dean in the College of Social Sciences at Loyola University New Orleans. His work there included coordinating an inaugural Jazz and American Democracy Professional Training Workshop for Orleans parish public school teachers. Prior to his work at Loyola, he worked as a publicist for Lincoln Center Theater and BMCC Tribeca Performing Arts Center. He has taught communication courses at Louisiana State University, and as an artist, has performed in traditional and experimental theater in Louisiana and New York. 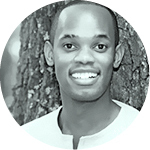 Michael holds a BA in Mass Communication from Xavier University of Louisiana, an MA in Communication Studies from Louisiana State University, and an EdM from Harvard Graduate School of Education. Lawrence T. McGill, PhD, joined Candid (formerly Foundation Center) in January 2007 as Vice President for Research. Under his leadership, the Center’s research department has significantly expanded its capacity, while continuing to produce definitive analyses of philanthropic sector trends. Previously, he was Director of Research and Planning for the Cultural Policy and the Arts National Data Archive (CPANDA) and Deputy Director of the Princeton University Center for Arts and Cultural Policy Studies (CACPS), the country’s first and leading center for the study of arts and cultural policy in the United States. His work with CPANDA involved identifying, evaluating, and analyzing key data sets for inclusion in the archive, on topics related to artists, audiences, organizations, and public support for the arts. By the end of 2006, the archive held more than 200 such data sets. Larry was Director of Research for The Freedom Forum from 1994-2001 and Manager of News Audience Research for the National Broadcasting Company from 1989-1994. He has taught in the departments of sociology and journalism at Northwestern University, where he received his PhD in Sociology. 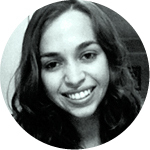 Kiley Arroyo is an independent cultural research, evaluation, and management strategy consultant based in Sausalito, California. Over the past two decades she has been intimately involved with American, European, and Middle Eastern art and culture, philanthropic, and government organizations. 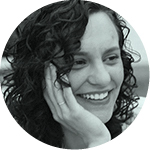 For the past three years, Kiley has served as the Deputy Director of Research for Sustain Arts and was responsible for design and implementation of the initiative’s research strategy. This included the creation of a complementary study Birth and Mortality Rates of Arts and Cultural Organizations, 1990-2010, a causation analyses of organizational life cycles. 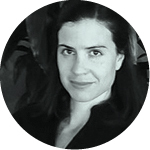 Kiley is a Fellow with Slover Linett Audience Research Inc. and Research Associate with European Institute for Comparative Cultural Research. She has lectured on topics including comparative cultural policy, art and architectural history, design research, and management strategy. She holds an MA in Public Policy and Management (socio-cultural emphasis) from University College Dublin, a BA in the History of Art and Architecture and a minor in Public Administration from the University of Oregon. Sarah Reibstein joined Candid (formerly Foundation Center) in August 2012 and provides research support on a variety of projects, including Sustain Arts and WASHfunders.org. She serves as Implementation Coordinator of the Center’s strategic priority to build a global data platform for philanthropy. Sarah previously held research assistant positions at Northwestern University’s Institute for Policy Research as well as the Kellogg School of Management. She interned at a microfinance institution in Ghana, where she spent a semester studying social and economic development. She received her BA from Northwestern University in Economics, Anthropology and Mathematical Methods in the Social Sciences. Adam Huttler is the Founder and Executive Director of Fractured Atlas, a non-profit developer of technology and services that empower artists to succeed as entrepreneurs. 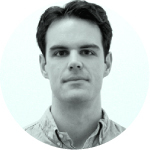 Adam has a BA from Sarah Lawrence College, an MBA from New York University, and is a self-taught software developer. Since forming Fractured Atlas in 1998, he has grown the organization from a one-man-band housed in an East Harlem studio apartment to a broad-based national service organization with an annual budget of $20 million. 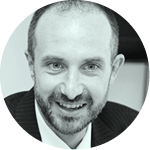 As Research Director at Fractured Atlas, Ian David Moss supports the field by harnessing the power of data to drive informed decision-making. 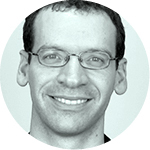 Evidence-based strategic frameworks that Ian helped create have guided the distribution of more than $75 million in grants to date, by some of the nation’s most important arts funders, and he works with his own organization and others to promote a culture of learning and assessment. Since 2007, Ian has been editor of Createquity, a highly acclaimed arts policy blog followed by thousands of arts managers and enthusiasts around the world. More recently, he was the driving force behind the creation of the Cultural Research Network, an open resource-sharing forum for self-identified researchers in the arts. Ian has been named one of the top leaders in the nonprofit arts sector by his peers each year since 2010 and is in demand as a writer, editor, speaker, grant panelist, consultant, and guest lecturer. He holds BA and MBA degrees from Yale University and is based in Washington, DC. Today, Alison Conard is Co-founder of Punkt Digital, a company dedicated to offering digital solutions for composers and musicians. Previously, she Co-founded Clio Music, a music technology startup. In her role as Chief Operating Officer, she negotiated with top music industry executives, coordinated worldwide marketing efforts, and helped define the company’s flagship music search product. She holds a BA in Music from the University of North Texas and an MA in Music Theory from Temple University.